Variations in nutrient availability in the world’s oceans could be a vital component of future environmental change, according to a multi-author review paper involving scientists from the University of Southampton. “All organisms, from the smallest microbes, up to complex multi-cellular animals like us, require a variety of chemical elements to survive. Somehow we all have to get these elements from our external environment,” explains Dr Moore, who is based at the National Oceanography Centre, Southampton (NOCS). 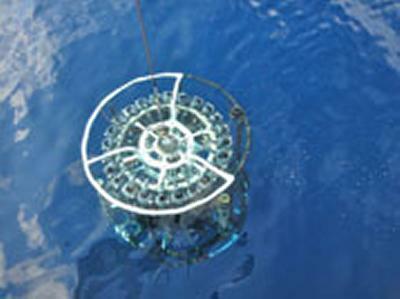 Nutrients are therefore a key driver of microbial activity in the oceans. But at the same time, micro-organisms play a major role in cycling nutrients and carbon throughout the vast ocean system – including drawing down CO2 from the atmosphere. Therefore understanding ocean nutrient cycling is important for predicting future environmental change. Dr Moore adds: “Despite many decades of research, we still don’t understand some of the complex interactions between marine microorganisms and nutrient cycles.